I find that my well beloved theology is strenuously tested in the presence of Jesus. Things that I once held so tightly to seem silly against the backdrop of the Ancient of Days. In fact, my hard earned “maturity” plummets when I enroll in the school of Christ. God seems to have no problems upsetting my understandings of scriptures, so much so, that by the time He is done with me I often wonder if I really know anything at all. One day while intellectually tossing around my Strong’s Concordance with a sort of studious pride, I stumbled upon a humbling truth that changed my idea of repentance. I don’t mean just the biblical definition of the word but the definition in con-junction with the life that Jesus lived. I realized once again that when it comes to Jesus, I am in way over my fallen head. John’s water baptism was a repentance of mentality. A change of mind so drastic that everything about one’s life must be re-analyzed. All former assumptions must be erased only to start living in such a way that one must be re-taught even the basest of principles. This was the preparation that John had been given. To rectify the mind of man to a new way of viewing God, so that when the cross of Jesus was introduced the heart would be ready. In this light I am in constant need of repentance. As a modern Christian I often fall prey to the “Christianese” that we so often use. I hear things like the word “repentance” and I envision someone at an altar confessing sin and coming to the cross of Jesus for forgiveness and peace. Though that may be relevant, I feel the biblical backdrop for the word is deeper than that. Johns baptism was a precursor to the Kingdom. The Kingdom always trumps my current views of God. John was sent to a people who had an already stubbornly held view of who God was and yet they were about to miss Him in plain sight. According to this definition of repentance Jesus underwent the same process. Not a repentance from sin, but a change of mentality that set Him on the journey of bringing the baptism of fire to our hearts, which is the seed of the Kingdom of God in a man. Jesus had a somewhat normal obscure life before Matthew chapter 3. Family, job, church, friends, and a passion for something greater. The repentance that He underwent in those waters was not about sin, and it is not about sin for me either. (The cross handles that, not Johns Jordan.) To fulfill all righteousness I must first right my thinking about why I am here. Jesus came to His full season and had to “repent” from His old way of living in order to come into the true purpose that God had birthed Him for. In no way am I saying that Jesus repented of sin. But His life changed in those waters to such a degree that it is the hinge which His ministry hung upon. It is also where the endorsement of God was proclaimed. When I come to a true repentance of mentality, I must stop worshiping myself. Life has to stop being about me, pain has to stop being about me, money, ministry, friends, and even worshipping God has to stop being about me. I have to square off with love and realize that in order to love the way God loves, I must give, not to myself, and maybe not even to my friends, but I must be willing to give to my enemies. Giving in this light often means undergoing tremendous trials for my fellow-man. Like Jesus, I must live a life that jeopardizes the current cultural ideal. Jesus’ life stopped being about His preparation and it began to be about enforcing in us the Kingdom He was going to die to give us. It was after this baptism that Jesus began His battle with hell for mankind. To fully understand God in the limited amount I can, I must undergo multiple deaths, multiple baptisms of repentance of mentality. It is a humbling day for me when I have to repent of the hard-earned theology that I posses. But as with all things in God, the more I let go of the more I end up receiving. Jesus, Paul, and many others underwent this painful evolution and if I am honest with myself I must continue to let Jesus redefine Himself to me as I grow, though for this to happen sometimes I must let go of something that I thought I had right. Jesus is worth more than my idea of who I think He is. The day Jesus repented was the day He left normal life and began to give us Life more abundantly. He repented of living a normal life so that He could live a life poured out for others. To repent is to change ones mind. 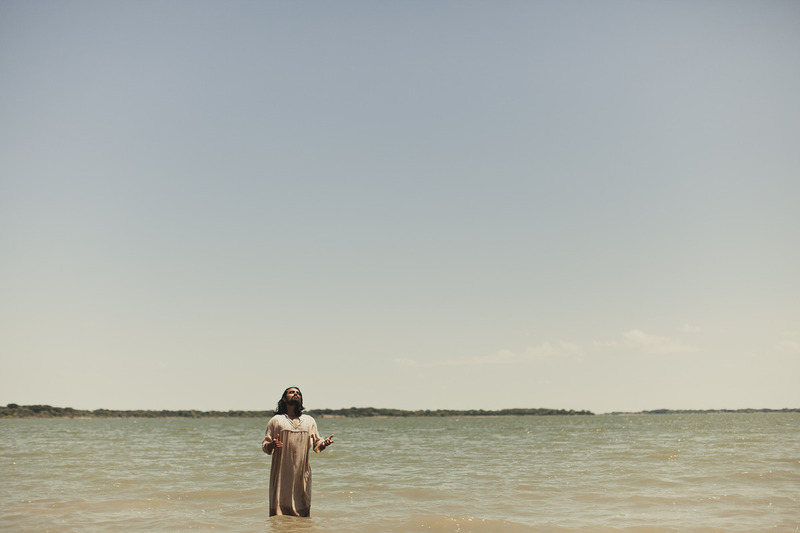 It was in these waters that Jesus changed His path to being about others instead of His preparation. To be like this Man I must also repent of making my life about my preparation and start making it about others.